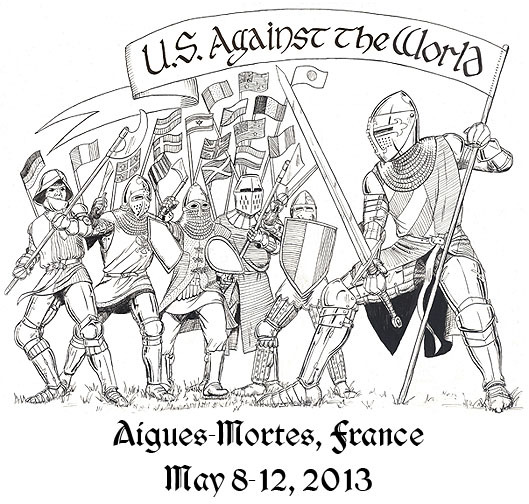 The Battle of the Nations is the first international medieval armored combat championship tournament and festival in the world! 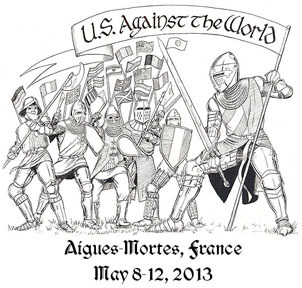 The 2013 edition will be held in France, the birthplace of chivalry! This year there will be 22 nations represented, twice as many as last year! Team USA, which won "Best Team Debut" last year at the Battle of the Nations in Poland, will be returning, bigger and stronger! I have been lucky enough to earn a spot on this year's team and return to the competition! You can help me meet this challenge by visiting http://www.gofundme.com/zorikhbotn2013. There are many valuable rewards you can earn with your donations. From as little as $5 to as much as $2000, every bit helps! Should you wish to purchase the products listed without going through gofundme.com, youe may purchase them a la carte here through Paypal. Please note, however, that be doing so, you will not get your name listed as a sponsor on the website or any videos I make. The following parties have already sponsored "Zorikh & Maria go to the Battle of the Nations"
Sponsorship opportunities are available at all levels.